What can be done with the shoes if they RUB in the back? It often turns out that shoes that is thoroughly tried on in the store, when worn I've tried to press and RUB his feet. To not have to postpone uncomfortable shoes on the far shelf of the closet, it should spread. 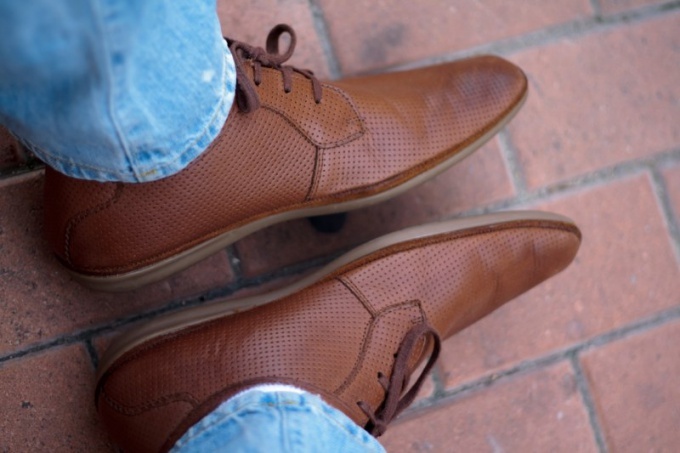 Right after you bought the shoes, do not expect to slob around all day in new shoes. Gradually razmeshivaya them, putting on per day. Buy special stretching spray for shoes. It is necessary to moisten them with shoes in those places where it rubs you, inside and out. Then put on shoes and walk in them for a while. If the shoes are pinching you so that to go to her hurt, after you've treated the boots with a spray, begin to stretch their hands. If shoes are too tight, help and traditional methods. Wet old Newspapers, tear them to pieces and firmly tamp them shoes. Then put the shoes up until the newspaper is dry. Usually it takes about a day. In no case do not place the shoes to dry near a radiator or heater, by then your shoes can become! Moisten thick socks with water, put on your shoes, you shake, and walk in them until the socks are dry. Can wet shoes the vodka or alcohol. And wet footwear should be inside, otherwise the alcohol can ruin the look of the shoes. After that, the shoes need to wear, and held it for some time. If your shoes are suede or fabric, alcohol, it is contraindicated. Instead, stretch the boots using beer. With winter shoes you can do the following. Invest in every boots or boots plastic package and fill them with water. Tie the bag and place shoes in the freezer. Freezing water will expand and stretch your shoes. So theoretically, we can proceed with summer shoes, but do not know how to withstand these freezing temperatures. You can give a Shoe that's too small for you, a workshop to repair shoes. There you stretched her on the special equipment. However, keep in mind that not in each workshop are required for this procedure devices.